Many of my poems have been turned into songs, and I also have written several pieces as songs. When I visit schools, I travel with a musician, and the programs include concerts featuring my songs. These are incredibly fun, and they also help students see and appreciate the relationship between poems and songs. One really fun co-write was the song “I Wanna Buy a Turtle.” I wrote the words and my son Christopher wrote the music. Chris then performed the song with his rock band NxT. You can stream it on YouTube by clicking here. Believe me, it’s a fun one! 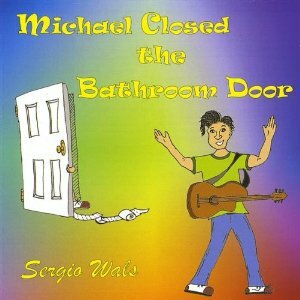 I wrote all of the lyrics on two CDs, Sergio Wals’ Michael Closed the Bathroom Door, and Mick Brady’s Triple the Pickle. 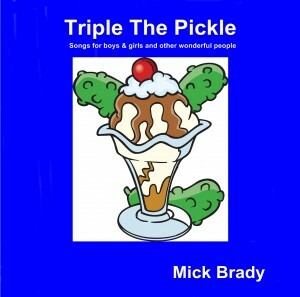 Both CDs have received a lot of radio play on children’s music programs and on programs featuring funny songs.